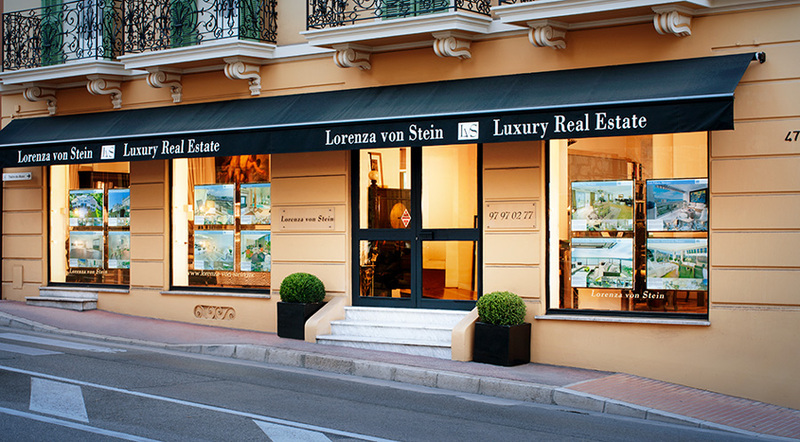 Lorenza von Stein is one of the most exclusive and traditional real estate agencies in coveted Monaco and Monte Carlo. The family business has more than 20 years of experience in brokerage and transactions offering the most luxurious real estate in Monaco and the Côte d'Azur. Angela Kleiber is the Owner and Managing Director of the agency. Together with her daughter, Annabelle, and the support of a highly experienced team, she is responsible for some of the world’s most influential and affluent clientele. Her husband, Holger Eckstein designed and implemented all marketing strategies and supported Business Development for international markets. It has often been said that the Monaco real estate market is unlike any other in the world. Lorenza von Stein takes you into some of Monaco’s most amazing properties. From residential areas such as the exclusive Carré d'Or, close to modern shops, elegant restaurants, and sophisticated galleries to family friendly residences such as Fontvielle nearby the habour. The team’s long-term experience in the industry allows them to provide an excellent feel for discretion and confidentiality, specific to the needs of their customers; those both looking to buy and those interested in listing a property for sale. The agency also specialises in top to bottom relocation services in order to ensure a smooth transition process. The firm establishes and maintains the most valuable partnerships in Monaco, including international lawyers, accountants, banks, architects, and designers, providing its clients with a carefully selected talent pool.